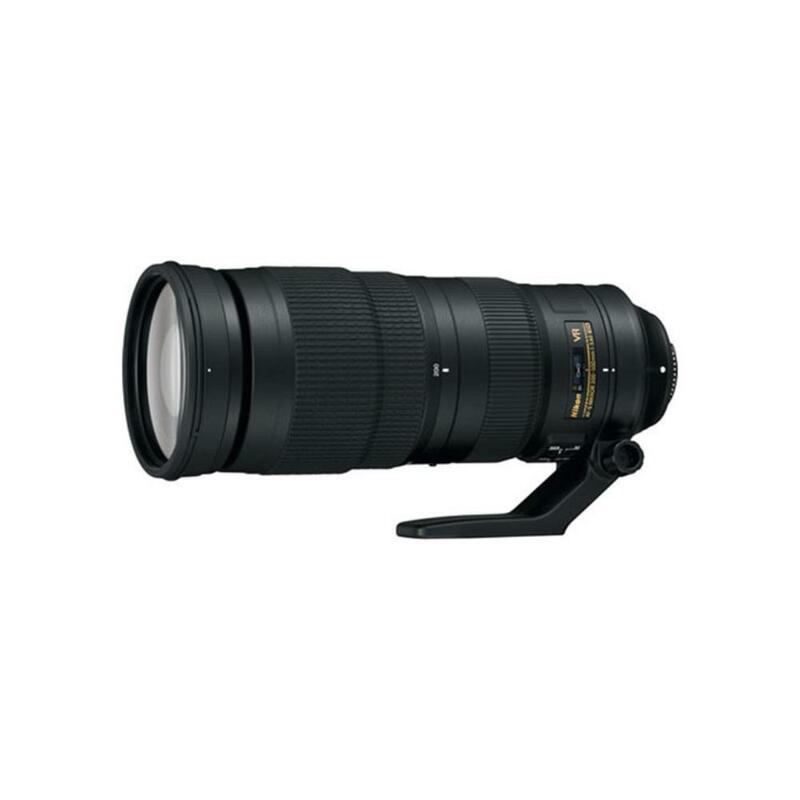 The Nikon AF-S 200-500mm f/5.6E ED VR Lens boasts an innovative Vibration Reduction system that minimizes image blur by camera shake and features Silent Wave AF for quiet and smooth focusing, making this a great choice for wildlife photography. Weather sealing makes it ideal for outdoor shooting. This lens features specialized electromagnetic aperture mechanism for greater exposure consistency when shooting at very high frame rates - a great feature for bird photography and for sports. While this lens is nearly a foot long, it is very well balanced for use with a support, such as with a gimbal-style tripod head (rentable separately). The Nikon AF-S 200-500mm f/5.6E ED VR Lens can be paired with both full frame sensor cameras, such as the Nikon D810, and with crop frame sensor cameras, such as the Nikon D7200. The focal length equivalent on crop frame sensors is 300-750mm. This lens is a great choice for sports and wildlife photography.